Not a Fungus, is it a Flower? Super excited to have found these little ones on one of my walks up the driveway this past week! 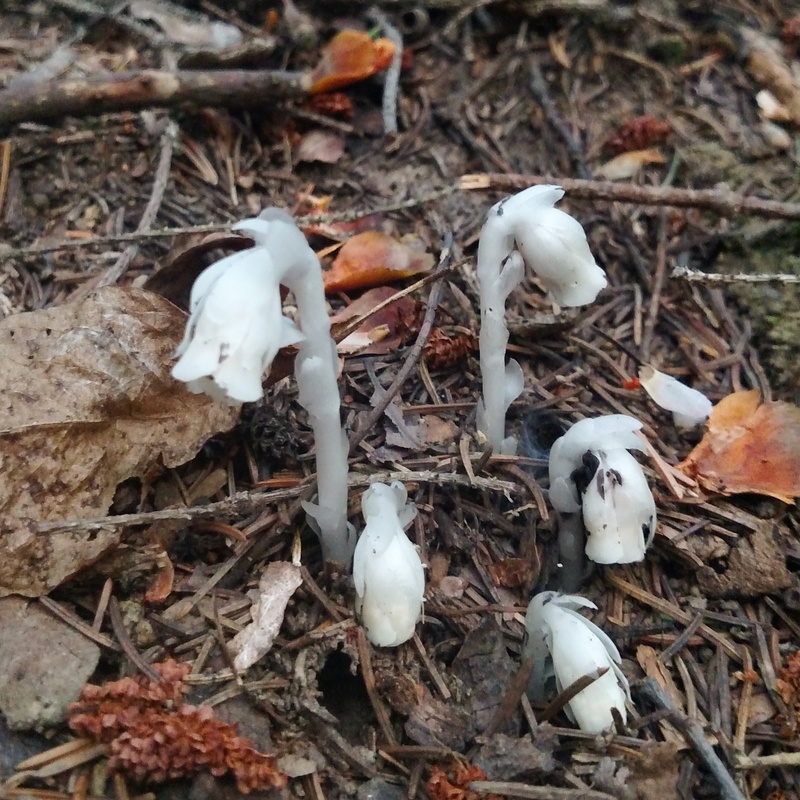 This is a plant called Indian Pipe. I remember my first time seeing it – how can this be? It looks prehistoric or like it belongs in the deep depths of the ocean. It has no chlorophyll to use for photosynthesis and to make its own food (which is why it is white) but it is actually a flower with a stem, bract-like scales in place of leaves, and a single flower at the end of the stem. It gets its nutrients and food to grow from the decaying matter under the forest floor (but it’s not a fungus!). I think of it like this, Indian Pipe is a hitch hiker, it gets its food by absorbing some of the nutrients provided by tree roots and surrounding decaying matter. It has a mutually beneficial relationship with a fungus in the soil where it grows. In scientific terms (and seems to be the most agreed upon label) a myco-heterotroph epiparasite. Some sources say that this is a rare plant to find but fortunately for us here in Western PA we get to see it quite often and I am so glad to have found it at home!